Grapefruit could be damaging to your heart if you are taking it along with prescribed medicines for heart disease. Grapefruit is known to cause serious interactions with drugs prescribed for people with heart diseases. Grapefruit is a yellow-orange colored sub-tropical fruit, which belongs to the group of citrus fruits and tastes sweet and sour. Grapefruit is known for its health benefits due to its rich Vitamin –C and pectin contents. However, grapefruit could be damaging to your heart if you are taking it along with prescribed medicines for heart disease. Grapefruit is known to cause serious interactions with drugs prescribed for people with heart diseases. According to the American Journal of Clinical Nutrition, grapefruit has nutrients called Phyto-Furanocoumarins, which inhibit the production of an enzyme known as Cytochrome P450 CYP3A4. Cytochrome P450 CYP3A4 is responsible for the metabolism (breakdown) of certain drugs. Therefore, when the levels of Cytochrome P450 CYP3A4 decrease as a result of grapefruit consumption, the concentration of certain drugs could increase to dangerous levels and trigger serious side effects. Grapefruit could also have an effect on drug transport rather than metabolism. Substances in grapefruit are known to inhibit a specific group of drug transporting proteins, which move the drugs into cells for absorption. Inhibition of the drug transporters will have the effect of not enough drugs being transported and subsequently absorbed, potentially making the drug ineffective. An example of this interaction is with Fexofenadine, an anti-histamine commonly used to relieve allergy symptoms. A publication in the Canadian Medical Association Journal by Dr. Bailey and fellow scientists identified more than 85 drugs that are known to have an interaction with grapefruit; out of these, 43 drugs can cause serious, sometimes fatal side effects when taken along with grapefruit. The possible serious effects of grapefruit-drug interaction are a renal failure, complete heart block, bone marrow dysfunction, and respiratory failure. 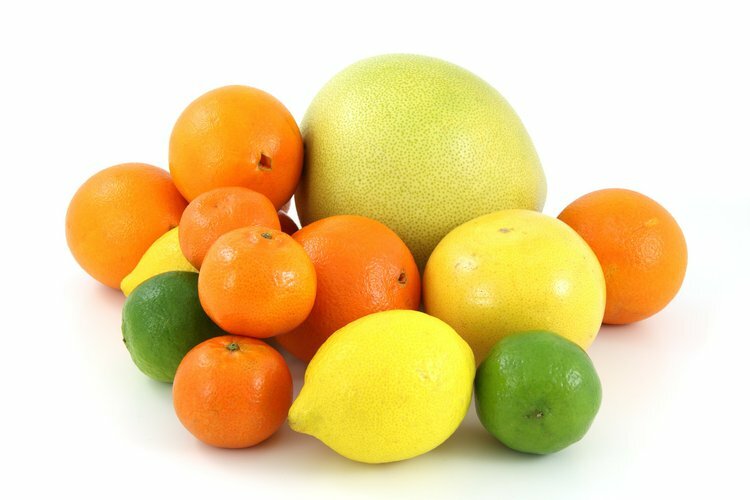 The middle-aged and elderly people are more susceptible to grapefruit- drug interactions because, in many cases, people of this age group are on medication for high blood pressure, high cholesterol, or heart diseases. This group should, therefore, limit their grapefruit intake. Additionally, some organ transplant rejection drugs like cyclosporines as well as antihistamines, such as Fexofenadine, could cause serious adverse reactions. The British Medical Journal of Clinical Pharmacology has reported that drug interactions with grapefruit can last for more than 72 hours of its consumption along with drugs, and the risk of having adverse drug interaction increases two times when grapefruit is consumed along with or within 4 hours of taking a drug. It is beneficial to keep in mind that grapefruit consumed hours before taking a medicine could still have adverse effects on health. Grapefruit by itself is beneficial for cardiac health and does not pose any potential health risks until it is combined with certain drugs. Since grapefruit is known to exert its effects on drugs for over 72 hours after consumption, it is important to talk to your doctor or pharmacist about any possible drug interaction of the prescribed drug with grapefruit to avoid serious outcomes.